When the Triple-A affiliation shuffle ended last fall, the Washington Nationals were left holding a bag that only had the Fresno Grizzlies remaining in it. It felt like a fat kid getting to the bottom of his Halloween candy to find only Good ‘N Plenty left. So instead of Nashville or even Las Vegas, the Nationals’ top affiliate for at least the next two years is 2,800 miles away. Flights between the two cities have at least one stop and take over seven hours to finish the journey. That’s not to say that the Fresno isn’t a first-class city chockfull of fans or that the facilities at Chukchansi Park after $3.4M in upgrades aren’t somewhat comfortable. But for a Major League team firmly planted on the East Coast having your top tier of replacement players situated on the opposite side of the country is not convenient or feasible. 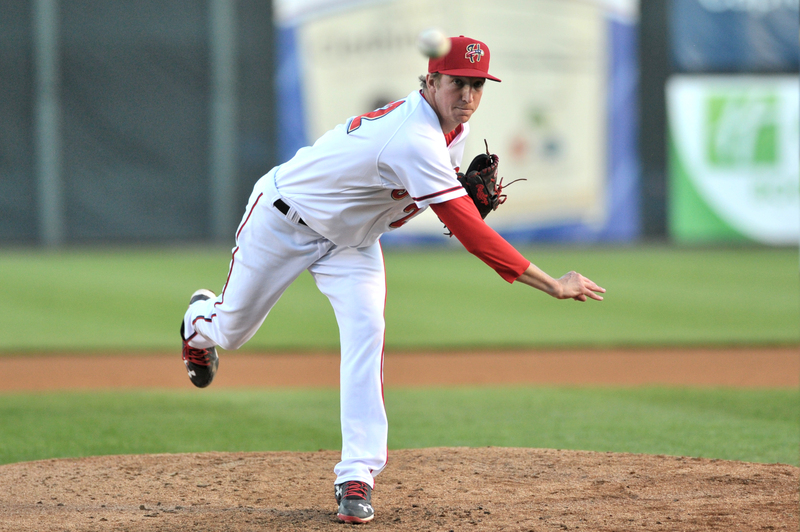 To combat that distance and the peculiar situation, the Nationals decided to place pitcher Erick Fedde and catcher Spencer Kieboom on the Class AA Harrisburg Senators’ opening day roster to keep them close by in case of emergency. Fedde had been vying for a spot on the Washington pitching staff this spring, and despite posting an 8.03 ERA and allowing 22 hits in 12.1 innings, the Nationals obviously have confidence in the 26-year-old right-hander. And although the writing was on the wall when Washington traded for Yan Gomes and signed Kurt Suzuki, Kieboom has to be considered the next man up after playing 52 games for the Nationals last season. “I try not to think about that stuff,” Kieboom said. “You get too far ahead of yourself. I’ve played that game in my head before, and it didn’t turn out well. LeCroy doesn’t see either player taking the competition in the Eastern League for granted thinking it’s going to be easy. As he pointed out since his first season in 2012, the Nationals have promoted around 20 players either directly from Harrisburg or with barely enough time in then Triple-A Syracuse for a cup of coffee. This entry was posted in Uncategorized and tagged Erick Fedde, Fresno Grizzlies, Spencer Kieboom. Bookmark the permalink.